The Bible is not a book of science, but it does claim to be ‘profitable for teaching’. This implies, at the very least, it should not tell us things that are contradicted by reality, provided we possess a right understand both the Bible and reality. The Bible is earnestly challenged by sceptics concerning the age of the universe. The chronology of the Bible seems to suggest that the universe was started six days before the creation of the man Adam. 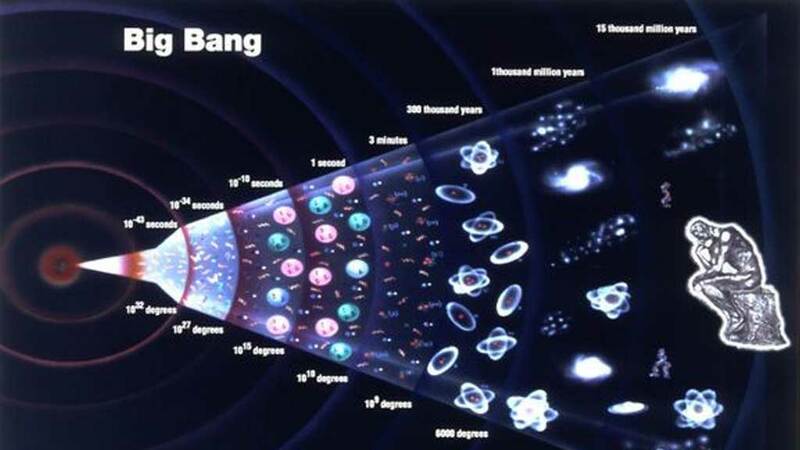 Adding up the years given for his descendants all the way to events we can date by other historical records, we end up with an age of the universe of around 6,000 years. Some Christians continue to argue that the universe has to be young, otherwise we have to reject the Bible. They also maintain that position, otherwise we then have to accept that a God of love created a universe in which there was several hundred million years of suffering, accident and death, and that surely is impossible. Atheists argue that the scientific evidence is overwhelming for the universe being very ancient, but not infinitely so, as scientists used to believe. 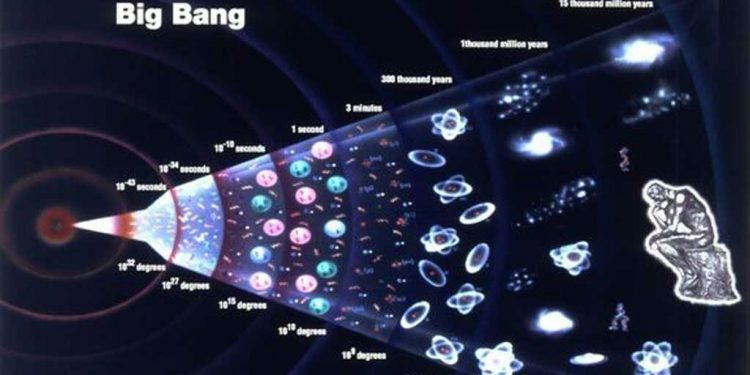 The evidence based on several detailed measurements indicates the age of the universe to be 13.7 to 13.8 billion years, a billion being a thousand million. If we assume the science is correct, then in order to answer the sceptics and re-establish the credibility of the Bible, we have to check to see if we have understood the Biblical text correctly. Then, in order to answer the theological concern about a God of love being compatible with an ancient world existing for hundreds of millions of years filled with suffering and death, as the fossil record implies, we need to see if we have understood God’s love correctly, as explained by the Bible. The first chapter of the first book of the Bible describes the creation of everything happening in six days. The question is, are these days 24-hour periods, or something else? We think of days as being either daytime, or daytime followed by night time. As these follow one another, one can also think of days equally well as night time followed by day time, as the Sumerians did, and the Hebrews still do. As this is slightly confusing, let us be a little more clear and say that a day runs from sunset, or evening, until sun rise, or morning, and then to the next sunset, or evening. Then the next day starts again. When we come to examine the text in the Genesis 1, we notice something rather odd, although we normally ignore it. Day 1 seems to go only from evening until morning when at that moment Day 2 starts. The evening of Day 2 starts at the morning of Day 1. This is true for all of the first six days, but is not true for the seventh day. So, while these periods are called days, and are celebrated in the establishment of the seven-day week, the Creation narrative it indicates we can also be understood as these days overlapping in the way I described, each day starting halfway through the previous day. Consequently, all the days of Creation end at the same time but they all have different starting points, each starting point being in the middle of the previous day. So, whatever we can say about these days of Creation, and however much we may celebrate and bring to mind the divine timetable of Creation by the institution of the seven-day week with its seventh day of rest, the real days of creation cannot be a sequence of 24-hour periods, if we are to remain faithful to the text. This shows us that we must male a clear distinction between the antiquity of Adam and the age of the Universe, since the six days of Creation cannot be the same as one of our working weeks. Does the Bible have anything to say about the actual age of the universe? There are two other passages, one from the Old Testament and one from the New, the former written by Moses and the latter by the Apostle Peter, which we should carefully examine. 2 Before mountains were brought forth, And Thou dost form the earth and the world, Even from age unto age Thou [art] God. 3 Thou turnest man unto a bruised thing, And sayest, Turn back, ye sons of men. 4 For a thousand years in Thine eyes [are] as yesterday, For it passeth on, yea, a watch by night. 5 Thou hast inundated them, they are asleep, In the morning as grass he changeth. 6 In the morning it flourisheth, and hath changed, At evening it is cut down, and hath withered. 7 For we were consumed in Thine anger, And in Thy fury we have been troubled. 9 For all our days pined away in Thy wrath, We consumed our years as a meditation. 10 Days of our years, in them [are] seventy years, And if, by reason of might, eighty years, Yet [is] their enlargement labour and vanity, For it hath been cut off hastily, and we fly away. 11 Who knoweth the power of Thine anger? And according to Thy fear — Thy wrath? 12 To number our days aright let [us] know, And we bring the heart to wisdom. 13 Turn back, O Jehovah, till when? And repent concerning Thy servants. 14 Satisfy us at morn [with] Thy kindness, And we sing and rejoice all our days. 15 Cause us to rejoice according to the days Wherein Thou hast afflicted us, The years we have seen evil. 16 Let Thy work appear unto Thy servants, And Thine honour on their sons. 17 And let the pleasantness of Jehovah our God be upon us, And the work of our hands establish on us, Yea, the work of our hands establish it! For a thousand years in Thine eyes [are] as yesterday, For it passeth on, yea, a watch by night. For this is eluding them, (willing it to be so): that there were heavens from long ago, and an earth established, out of water and through water, by the word of God; through which water, the world which was then was destroyed, having been flooded in water. But the heavens and the earth that are now, by his word, have been stored up for fire, being kept to the day of judgment and destruction of ungodly men. But beloved, let this one thing not elude you, that one day with the Lord is like a thousand years, and a thousand years like one day. The Lord is not slow concerning his promise, as some deem slowness, but has patience toward us, not willing for any to perish, but for all to make room for repentance. But beloved, let this one thing not elude you, that one day with the Lord is like a thousand years, and a thousand years like one day. But beloved, let this one thing not elude you, that one day with the Lord is like a thousand years, and a thousand years like one day. For a thousand years in Thine eyes [are] as yesterday, For it passeth on, yea, a watch by night. It seems that we have a rather interesting point being made, so let us see where it leads if we apply a little arithmetic. A watch in the night is 4 hours, or 1/6 of a day, since in the scripture there were usually 3 watches in the night. Remembering that from God’s view point, which would have a cosmic frame of reference rather than our frame of reference, a year is 366.242 days, the length of the solar year. Let’s also remember that the Creation story ends within the seventh day. It has started, but not finished. We might assume that this is therefore night-time rather than day time, but remembering this is a story, we need to ask whether God is resting in the night or the day. Since God is resting, not sleeping (He neither slumbers nor sleeps, Psalm 121:4) we can assume we are in the morning time in the Creation story. Since that day-watch has begun, and a day time watch is six hours, we can count that inclusively, as the Hebrews did, and place the total duration of creation, as set out in the story, as 6.25 days. Given the closeness to the actual scientific value for the age of the universe, this is a remarkable result. He emphasises to the Beloved, who ought to know their Bibles, that a day is as a thousand years and a thousand years as a day. This should have immediately triggered the memory in any good Bible student an association with Moses’ creation hymn – Psalm 90. It is interesting that St Peter anticipates and summarises the great evolution debate of the last two centuries. The Uniformitarians insist that the gradualism of evolution means that nothing has changed from the beginning of creation until now, so where is there any evidence that God really is around us or that “in him we live and move and have our being”, as St Paul put it when preaching to the Athenians, quoting the 7th century Greek philosopher Epimenides of Cnossos. St Peter reminds us of the flood, and our modern scientist friends will be put in mind of the ‘snowball earth’, a period in the development of the earth in which almost all of the earth’s surface was ice-bound. Many scientists regard it as an astonish stroke of luck that life survived at all. Clearly, things aren’t always gradual, in fact they can be quite unique, cataclysmic and finely tuned. St Peter reminds us that Judgment Day is coming, and that certainly will also not be business as usual, either. So, he suggests we do not confuse God’s patience with slowness. It is interesting that in scientific circles Catastrophism has become more respectable, alongside the Uniformitism of the first hundred years of the evolution debate. This establishes that the Bible text supports an Old Earth view entirely consistent with the scientific narrative. I am not trying to prove that narrative, that is not the point. I am merely pointing out that, if we take the scientific narrative to be true, a more detailed reading of the Bible not only supports it but also gives a remarkably accurate age for the Universe, if we take care to pick up all the clues. This answers the first question. The second question was how can one justify a loving God subjecting the earth to the futility, not to say cruelty, of millions of years of suffering, accident and death that the evolutionary process inevitably requires for the species to develop using the arms race idea proposed by Richard Dawkins. These two passages also assist us here, too. “In the morning it flourisheth, and hath changed, At evening it is cut down, and hath withered. For we were consumed in Thine anger, And in Thy fury we have been troubled. The lives of all living things are a cycle: flourishing in the light, growing and metamorphosing, but then we reach the end and are cut down and rot. But the reason it has to be this way is that although the destiny of evolution is the creation is humans, God is inevitably enraged by humans, so we and the world have of necessity to be subject to a common futility and suffering, for He sees what we really do. Creation could never have been free of pain first time round – we would have made sure it got wrecked: our unconstrained behaviour and inventiveness would make sure it was so. If God were not furious with humanity, He would either callous or would not have been paying attention. Despite this, the prayer of man is that we will come to experience the pleasantness of God, that ‘life within Himself’, and rather than operate against God, our own hands would learn to cooperate with God to establish this happiness. And that, of course, is the objective of God in sending Jesus, so that in the next Creation, Creation 2.0 if you like, this is indeed the outcome. In that Creation, there will not be any moral requirement to subject it unwillingly to suffering and futility. That is the destiny God has prepared for His people.